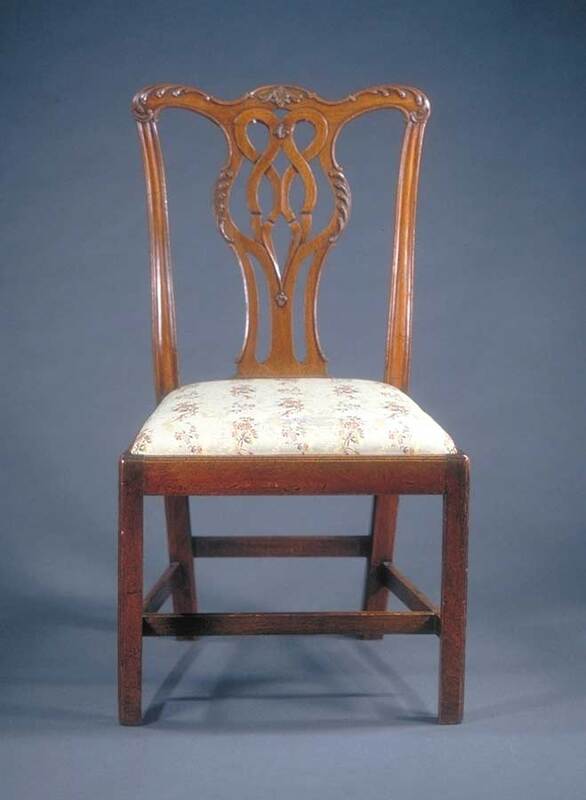 An English Chippendale side chair c.1760 in mahogany. This example has fine carving to the crest rail and pierced splat. The carving is developed in filigree and flower and is sharp and crisp. The upholstered slip seat in covered in period silk which shows wear. The chair retains fine color and good surface. A repair has been made to the central stretcher.